I met Douglas Osto PhD not long after his book, Altered States: Buddhism and Psychedelic Spirituality (2016) was published by Columbia University Press. I had invited him to New York City to give a book talk at The Alchemist Kitchen. Doug, who is a Professor of Asian Philosophy at Massey University in New Zealand, is one of the few Buddhist scholars who has published a book on Buddhism and psychedelics—and—has also openly admitted to using psychedelic substances! This was all well before Michael Pollan’s seminal book, How To Change Your Mind (Penguin 2018), and the recent upswing in “gonzo” psychedelic journalism. It was an exciting moment for many of us who were slowly inching our way of the “psychedelic closet” and into the warm light of the psychedelic renaissance. Doug’s book, like Allan Badiner’s Zig Zag Zen before it, has been as a validating force for those of us who view psychedelics and Buddhism as complementary. You choose to disclose your own personal history with psychedelics in the postscript to your book Altered States. Was that a “coming of the psychedelic closet” experience for you? As a scholar-practitioner of Buddhism, I guess you could say I have had a number of “coming out of the closet” experiences. My first coming out was as a Buddhist in 1993, as a member of the Harvard Buddhist Students group. As I recall at the time, Duncan Williams was our acting head. On at least two occasions, I led our group at the beginning of an event in the recitation of the Triple Gem in Pali – buddhaṃ saraṇaṃ gacchāmi, dhammaṃ saraṇaṃ gacchāmi, saṅghaṃ saraṇaṃ gacchāmi (“I go to Buddha as refuge, I go to Dharma as refuge, I go to Saṅgha as refuge”). It was not until the publication of my book, Altered States, that I came out as a “psychedelic Buddhist,” in the autobiographical postscript. Also, in my book I came out about not identifying as heterosexual, and my own struggle with substances and mental health issues. More recently, I have come out about my battle with depression in my self-published book, Minding the Black Dog: Overcoming Depression with Mindfulness Meditation, and about overcoming my childhood dyslexia in an autobiographical sketch published online on the H-Buddhism Network. As a person and author, I see all these aspects of my life – Buddhism, psychedelics, sexuality, substance (mis-)use, mental health, learning difference – as parts of a whole. I strive to be as opened and honest about my life as I can be in the hope that it will help, inspire and encourage other people with similar experiences. When did you first “turn on” with psychedelics? I first learned about psychedelics when I was a teenager in high school. I read a little book called LSD, Visions or Nightmares by Michael E. Trulson. I was fascinated. My first experience was as an undergraduate at Grinnell College. Back in the eighties, Grinnell students threw an annual Alice in Wonderland party, and in keeping with the situation, I tried magic mushrooms for the first time. My second big experience was ingesting a massive dose of Sri Lankan medicine called Madana Modaka containing cannabis resin in a ghee paste, which I wrote about in my book Altered States: Buddhism and Psychedelic Spirituality in America. My first experiences with psychedelics were challenging to say the least. This was mainly because I did not have the appropriate preparation and guidance in relation to my set and setting. It was not until I went to Harvard Divinity School in the mid-nineties, and met a group of fellow psychonauts that I learned better practice with regard to the spiritual use of psychedelics. In particular, I met John, a psychedelic elder, who acted as my mentor, guide and spiritual friend. What have you learned from your psychedelic experiences? I have learned many things from psychedelics. One of the most important has been the realization that the world as I experience it is a reflection of my own mind. Another important insight I gained through ritually ingesting peyote (details in my Altered States book) is the power of certain substances to reveal unconscious material and release deep psychological wounds caused by loss or trauma. I think if used appropriately, psychedelics can be important medicines and teaching tools for someone on the Buddhist path. Although such substances are definitely not for everyone, I think each person has a right to make up her own mind about what to put into her body. How do you relate to the 5th lay Buddhist precept regarding intoxicants? My only serious engagement with the 5th precept was after I formally took the precepts in 2006, and followed them diligently for one year. During this time, I avoided the recreational use of any psychoactive substance, except for coffee. After this time, I returned to a moderate use of alcohol and other psychoactive substances. I think the distinction between an intoxicant and a medicine can be quite blurry at times. Likewise, the distinction between recreational use of a substance and its medicinal or spiritual use is not always clear (nor should they necessarily be clear). While I admire people who choose to follow a mental discipline and abstain from certain substances, ultimately, I think that everyone needs to follow their own conscience. 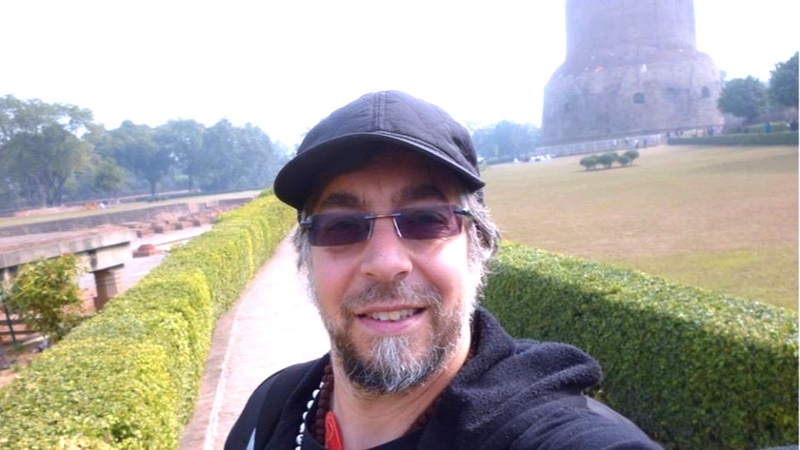 I am definitely not inclined to a monastic lifestyle, and find the “crazy wisdom” of the Indian Mahasiddhas an attractive alternative to following numerous rules and regulations in relation to my Buddhism. What is the heart of Buddhism for you? The heart of Buddhism is universal compassion and perfect wisdom seamlessly fused as the union of Father and Mother (yab-yum). When did you first meet the dharma? I became interested in Asian religions and philosophies after learning Transcendental Meditation when I was seventeen. This inquiry quickly led to my interest in Buddhism, which I have studied and practiced ever since. I distinctly remember the first time I read about emptiness when I was eighteen years old. I had an immediate connection to this concept, and felt intuitively that it expressed the true nature of reality. Over the years, I have practiced vipassana, zazen, Tibetan Kadampa mind training, and Pure Land chanting. I consider the late Sri Lankan meditation master,Godwin Samararatne, to be my “root teacher.” I have also taught non-sectarian mindfulness for a decade as a community service, and to individuals, small groups, the military and multinational corporations. My primary practice these days in probably closest to Zen Master Dogen’s “just sitting.” I consider myself a non-sectarian Mahayana Buddhist.